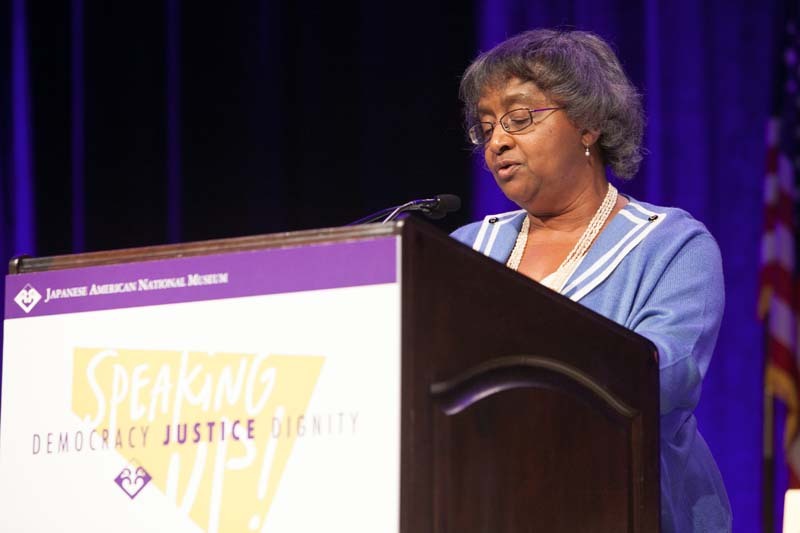 Dr. Sybil Jordan Hampton, Retired President of the Winthrop Rockefeller Foundation, spoke at the Closing General Session on July 6, 2013 at the Japanese American National Museum’s 2013 National Conference, “Speaking Up! Democracy, Justice, Dignity” in Seattle, Washington. JANM — Atualizado em Jan 08 2014 5:12 p.m.